US patent number 1,281,096 was issued on October 8, 1918 to Christopher F Thullen of Chicago, Illinois, and assigned to Fed Ohde, Christopher F Thullen and August AF Dreyer. The three assignees are believed to have manufactured the On-The-Dot level, and sold it through the Chas. 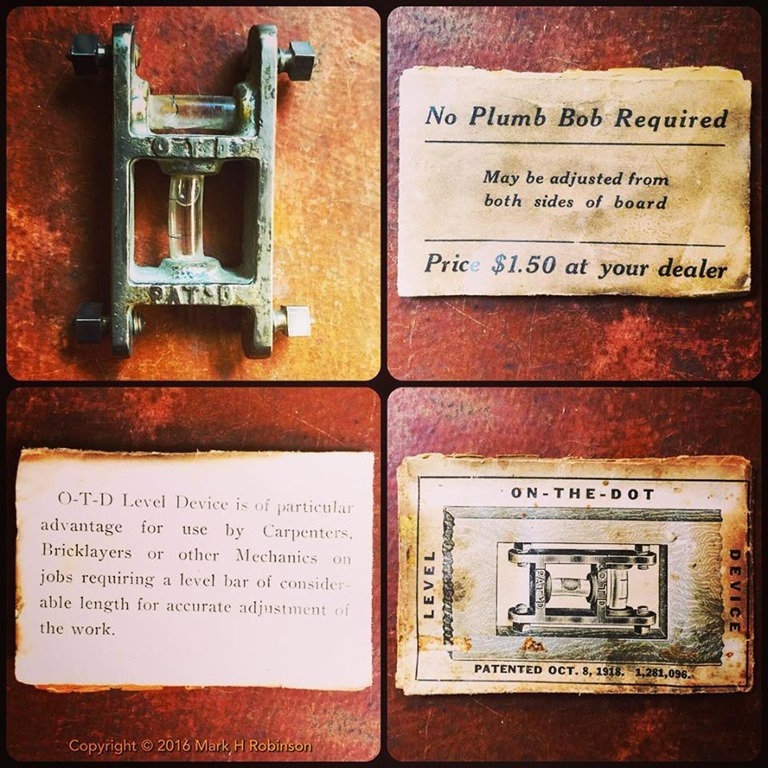 W Neimes Sales Company, also of Chicago, who advertised it as ‘a small instrument about three inches length that can be mortised into any board (picked up on the job) making a perfect level or plumb …bob…”. 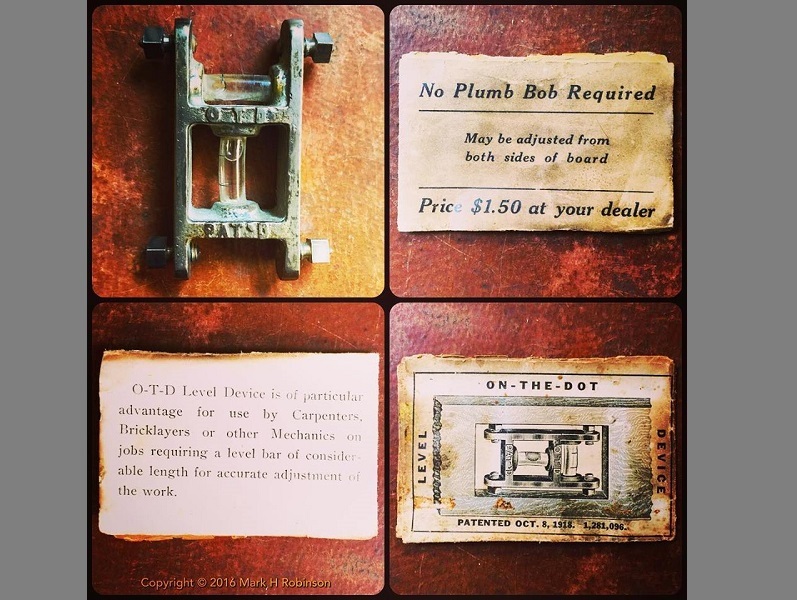 The picture and accompanying diagram show how it would have been used – essentially, hack a hole in a board, embed the O-T-D, and away you go! These turn up fairly regularly, and I have others, but what makes this one unique is that the four-fold paper describing its use and merits has remained with it for the nearly one hundred years since it was made. Such ephemera rarely survive – the paper is cheap, flimsy and acidic, and it effectively digests itself over time! 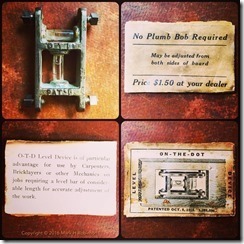 What I find most interesting is the price – $1.50 in 1920 dollars is the equivalent of about $20 today! A carpenter’s wage at the time would have been around $1.10 per hour, or $14 today. If the same thing were made today, it would probably be plastic and sell for less than $10, while a carpenter would make about $20 per hour. So, the cost of the tool has halved in real terms, while the wage of the craftsman has increased by 50% in real terms.